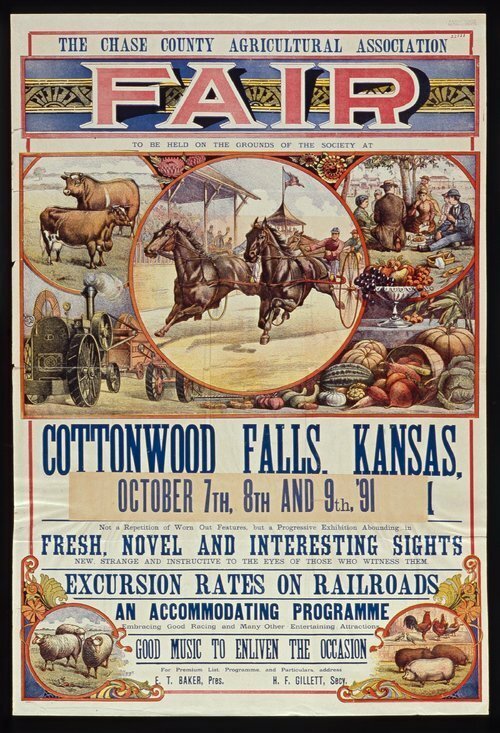 This poster announces a fair sponsored by the Chase County Agricultural Association to be held in Cottonwood Falls, Kansas. Highlights include novel and interesting sights, music, and reduced railroad rates. The poster includes color illustrations of livestock, farm produce, farm machinery, and sulky racing with horses and riders. Fair officers are E. T. Baker, president, and H. F. Gillett, secretary.